In today’s modern world, customers have more choice than ever before and expectations are now higher than ever. By making our processes customer centric, carrying out benchmarking, and continually listening to policy holders through feedback, we believe that Martindales now offers a service where the customer really is king. Please find below a selection of quotes from some of our many satisfied customers. To see evidence of how our processes deliver fantastic service for customers, why not contact us to arrange a visit to our Bolton headquarters. You certainly have very good and experienced people working at Martindales and I am very thankful to you. Thanking you all for a fantastic job, your service and professionalism has been first class. We would like to say how satisfied we were with your employees and the work they did on our conservatory roof. From your helpful staff who answered the phone to the initial survey right up to the clearing up. They were all polite and friendly. Thanks to all the staff involved with our door and window replacements. They did a wonderful job and we are delighted with the finish. We will use your company again. Your fitters were professional, friendly, polite and hard working. They never stopped and their attention to detail was outstanding. The men who came were courteous, well turned out, punctual and altogether totally professional. They removed the broken window carefully, not leaving a piece of glass anywhere. They then put in the replacement very quickly and carefully. I wish all workmen were as good as this and I just wanted to tell you about it and say thank you. I have been a commercial insurance broker for 30 years and would like to congratulate you on your professional and flexible approach to reinstatement – which enabled me to keep my original door which is over 80 years old. 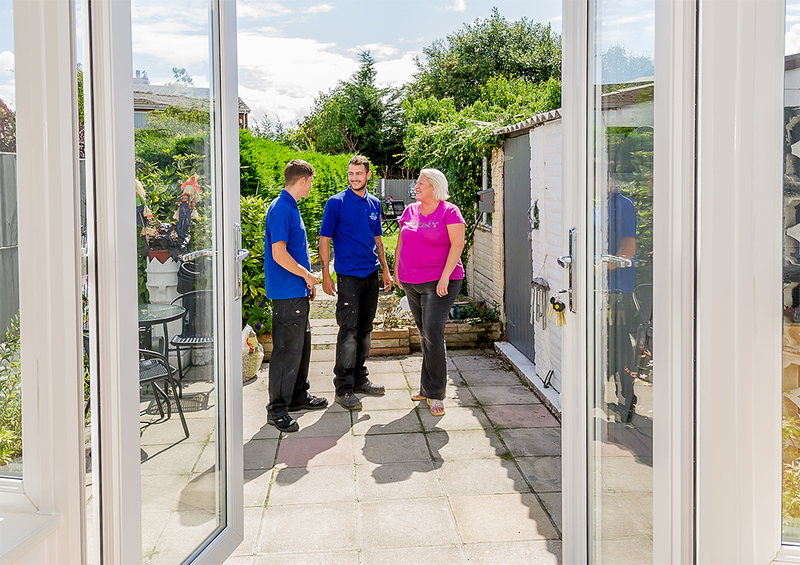 The door fitters were excellent – the temporary door very good and the repair seamless – all in all a first class service! I just wanted to say how pleased my Mother was with the two fitters that you sent out Monday last week. She said that they were worked very hard and didn’t even stop for a tea break. They were very friendly and their standard of work was also very high. The new doors look fantastic, and match in so well that you can’t even tell that they have been replaced. Copyright© 2019 © Martindales Limited. All Rights Reserved.